Zac has two new gadgets to test drive. Will they work - even deep under the water? * With a maximum of 40 words per page, Test Drives are packed with illustrations of gadgets and blueprints of vehicles. * At only 48 pages, young readers can easily get through them and feel a great sense of achievement. 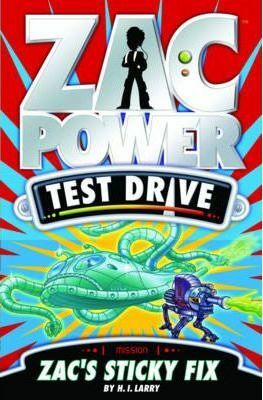 * Older readers can also enjoy Test Drives for the quick read and awesome illustrations. H. I. Larry is the author of the Zac Power series.